Through this Coinbase review, we intend to provide you with a fresh intake of the platform’s trade marketplace. We compare Coinbase with competitors in the market through important aspects of its services. Thus, we review fees, trading pairs, liquidity, security, verification requirements, currencies accepted and more. Finally, the pros and cons of using Coinbase’s products serve as an overall conclusion of its attractiveness for traders. In June 2012, Brian Armstrong and Fred Ehrsam established one of the most renowned cryptocurrency exchanges in the world. With headquarters located in San Francisco, the US-based business operates under regulations of the American financial authorities. Within several years, Coinbase grew its customer base towards one million users, establishing a subsidiary GDAX. Recently, the company introduced a new sub-platform called Coinbase Pro. The regular exchange held simple transactions where clients bought and sold digital coins. The Coinbase Pro, however, works with trading only, which is the main foci of this review. Apart from trading, big companies, such as IBM, Amazon, and others are partnering up with the blockchain company for a variety of projects. This speaks volumes about the influence the company has, which is unmatched even by giants like Bitfinex, BitMEX, and Binance. Currently, Coinbase Pro is available through web browsing platform only. The app for iOS and Android users include the original exchange but not the new trading marketplace as well. Much like regular Coinbase platform, the Pro trading marketplace limits customers to 32 countries overall. These include most of Europe (27 of them), the US, Canada, the UK, Singapore, and Australia. Due to the licensing rights, Coinbase does not offer its services in Hawaii. For all other 50 States, Coinbase did achieve in acquiring needed licenses. Compared to globally-available Bitfinex, EXMO, and CoinEX, the Coinbase Pro does seem to have a limited customer base. Currently, users can fund their accounts through either fiat channels and/or cryptocurrencies. On the side of fiats, Coinbase supports bank transfers and credit cards as a funding option. Due to the limited number of countries, the company accepts USD, EUR, and GBP only. Credit card deposits carry a 3.99% fees. On the other hand, bank transfers range from 0 to 1.49%, depending on the bank transfer type and the currency used. On the side of cryptocurrencies, Coinbase offers far fewer choices than its rivals, Bitfinex and Binance. Whereas others have over 30 coins and 100 trading pairs, Coinbase focuses only on most popular cryptocurrencies. At this point, clients can deposit and withdraw bitcoin, Ethereum, Litecoin, and Bitcoin Cash. As for trading pairs, Coinbase offers 19 pairings in total. US and European regions can use 9 trading pairs each, the UK 14 of them. The least supported are Canada, Australia, and Singapore with only 4 pairs and without fiats. Unlike CFD trading platforms where spreads serve as a revenue channel, Coinbase implements the maker & taker fee structure. The level of costs at the platform is similar to other industry leaders, including CoinEX and Bitfinex. At this point, traders pay from 0.3% to 0% if their order is of a taker form, depending on the traded monthly value. Makers do not have any costs as to increase the traffic and liquidity of the marketplace. There are no limitations on deposits/withdrawals nor on the orders at Coinbase. At the safety level, Coinbase offers the least functions when compared to BitMEX, CoinEX, and Bitfinex even. Yet, it also holds the top spot as the most secure marketplace right now, due to the running asset insurance. All funds are part of the insurance covered by the platform, making any loss due to the hacking attempts retrievable. You also have 2FA (two-factor authentication) with Google or phone and an IP whitelist. Email notifications are available for transactions and logins. Clients do need to verify their identities almost immediately after the account’s registration. The required documents include a scanned ID or passport, utility bill (address check) and bank statement, as seen below. Furthermore, after the completion of the uploads, the next step would be to use a webcam verification as well. Private trading is not possible at Coinbase, as it is with Binance, Bitfinex, and BitMEX. Coinbase, as mentioned before, employs 19 trading pairs, with different countries holding only part of them. At this moment, Coinbase Pro does not offer margin trading services. The reason is that liquidity is self-efficient, with supply coming in only from the platform itself and GDAX. The biggest trading pair remains to be BTC/USD while fiat pairings keep the close run-up. ETH/USD is the second largest after bitcoin trading. The overall trading volume currently stands at $57 million for BTC/USD and $44 million for ETH/USD. The Coinbase’s total trading value for the 24-hour measurement is around $150 million. As a comparison, Bitfinex holds $515 million of daily trade value while BitMEX holds the top spot with almost $2.8 billion. On the side of the looks, traders have an easy-to-use interface though with very little room to customize. Only charts can be modified to a certain extent with indicators and types of bars. BitMEX allows full freedom of trading page customization, which Coinbase does not offer. 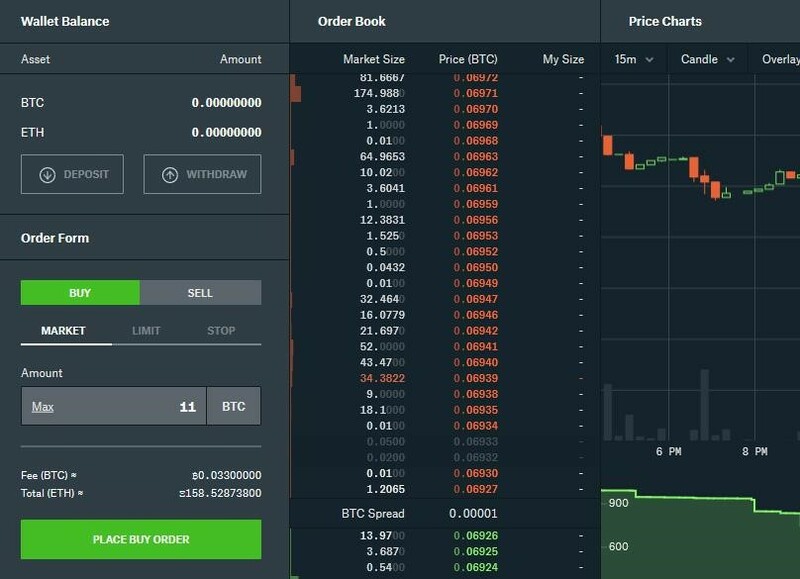 At Coinbase Pro, it is possible to open orders through Limit, Market and Stop tools, as seen in the snapshot below. Stop functions include regular stop-loss and take-profit price limiters. Traders can set upper and lower price levels and include advanced instructions for when market enters bear or bull stages. Advanced tools include Good ‘Til Canceled (GTC), Immediate or Cancel (IOC), and Fill or Kill (FOC). Advanced functions help put timed strategies depending on the trends and are meant towards experienced traders. 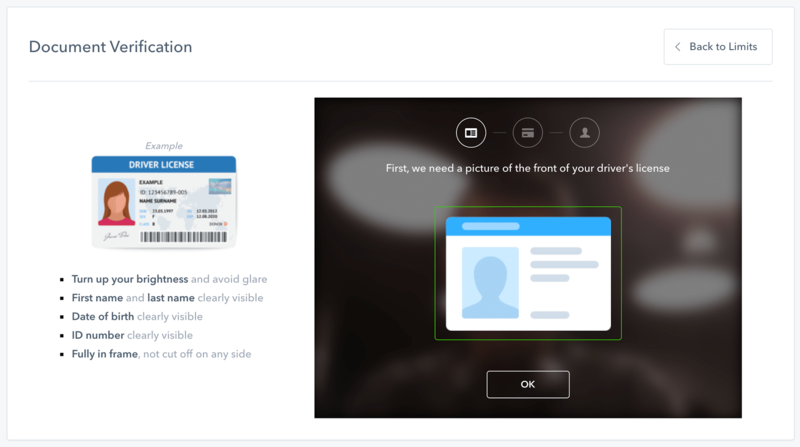 The overall platform has a singular support page, that includes an FAQ section and ticket system. Unlike EXMO, live chat function is not available, even with the physical headquarters present in San Francisco. To substitute for immediate communication, clients can reach support employees with an email or a direct phone call. Do take into account the costs of telephone talks, especially if you are not living in the US or in the UK. At this Coinbase review, we went over the regulated crypto business in terms of its trading capabilities. Although smaller than Bitfinex and BitMEX, Coinbase does provide security and ease-of-use while trading cryptos. The overall feel suits beginners and experts alike, though starters might find simple functions more to their liking. Experts might want to use Bitfinex and BitMEX due to the available margin trading tools.